Our team understands how frustrating it is if your dishwasher is not working. Who has time to do dishes by hand? 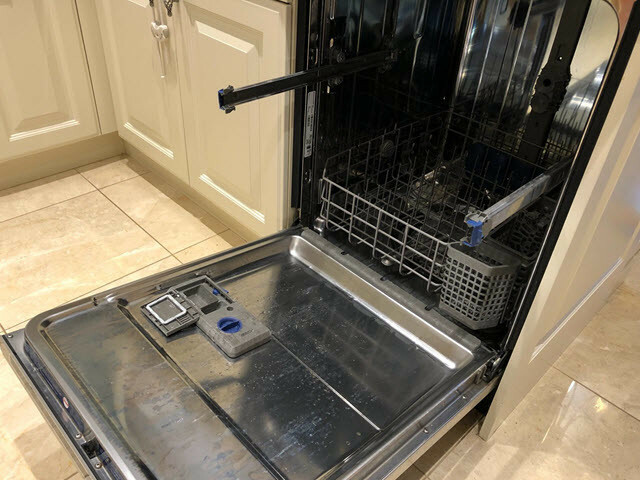 If your dishwasher isn’t draining, not turning on or experiencing any other problem then you’ve come to the right place. Our experienced dishwasher repair technicians are available all across the GTA to fix your dishwasher today. What’s more, we don’t charge extra for same day service. Give us a call, describe the issue and we will send someone to fix it right away. We service and repair nearly every brand of dishwasher. With over 25 years of experience our appliance repair technicians have seen it all – if you are looking for experience, look no further. If your dishes are no longer coming out clean, there are certain things you can check on your own before calling us. Make sure to clean your dishwasher filter (ideally after every wash). Please note that some dishwashers don’t have filters. Have you tried running it empty with a bowl of vinegar in it? That seems to help clean it – especially oils and grease. If these tips haven’t helped, feel free to give us a call and we will send someone to inspect it and help you fix this issue. If your dishwasher is leaking, there may be an issue with the pump or the door gasket. There may be other sources of leakage, but the probability of this is low. Regardless, give us a call and we will send someone to fix it for you. Don’t worry, it doesn’t mean you need to buy a new dishwasher. You might have heard this before but try unplugging it from the power and plugging it back in. On the rare occasion that this does the trick, why not try it? If your dishwasher power is on but it won’t start, take a look at the door latch or switch, which should be located near the top of your appliances door. The door latch or door switch of your dishwasher ensures that your machine is only working when it is safely closed, shut and locked. 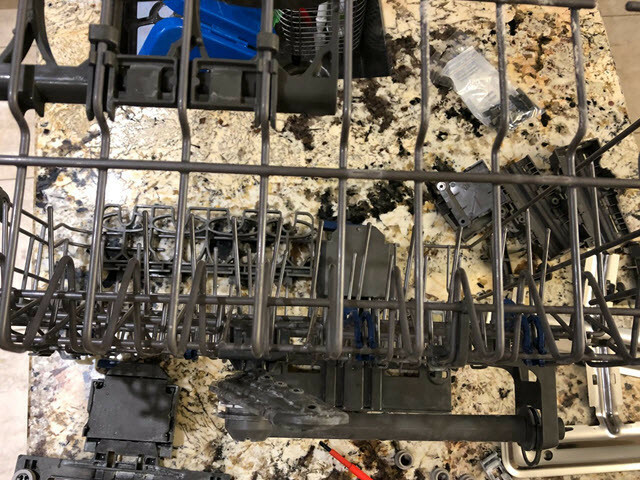 If your dishwasher isn’t closing properly, that’s definitely part of the reason why your machine won’t turn on so check if there is something in the way. If you cannot figure this out, we are here to help! Simply give us a call. 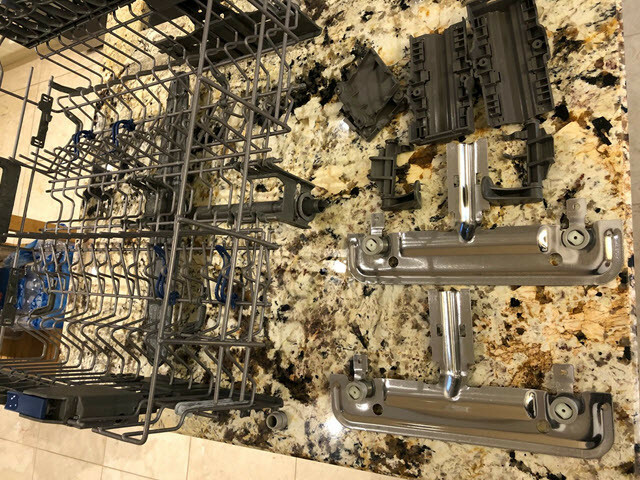 How can I prevent my dishwasher from breaking down? There are a couple things you can do to avoid frequent dishwasher repairs and make it last as long as possible. First, you should never overload it. The dishes will not come out clean and you will have to repeat the cycle, thus causing more tear to the unit. The second thing is not to go overboard with dishwasher soap. By using a moderate amount of soap, you will avoid the buildup that causes the motor/pump work twice as hard. Why are my dishes coming cloudy and smudgy? 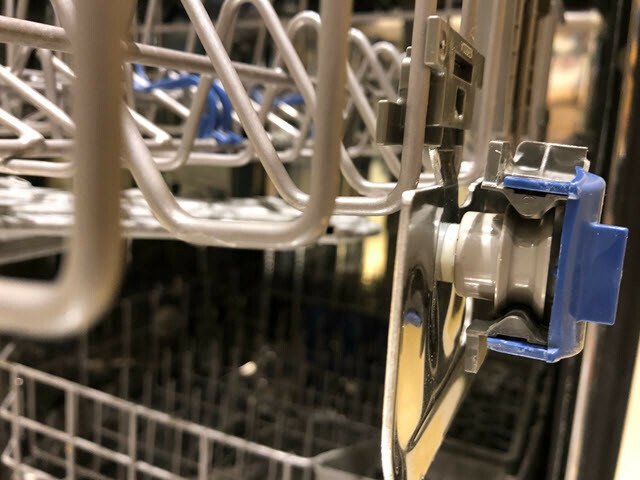 If your dishes are coming out of your dishwasher looking cloudy, it could be because of mineral deposits (which can be cleared with vinegar), a clogged drain, water temperature, too much or too little detergent, or gel detergents. Why is my dishwasher not drying my dishes? If your dishwasher is not drying your dishes during a cycle, it could be because you did not set the correct wash, dry or heat setting. My dishwasher is making strange noises. What can I do? 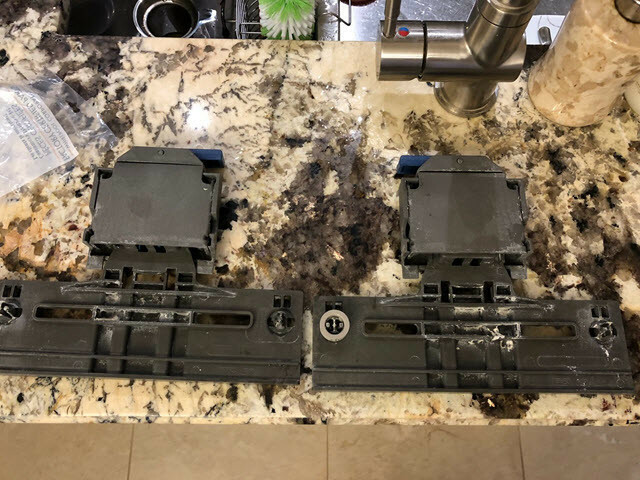 If you ever notice your dishwasher is making strange noises, the cause may be as simple as it not being fastened to the floor or cabinet properly. On the other hand, the problem may arise from issues such as faulty motor assembly and dishwasher pump. How do I know which dishes are dishwasher safe? Before putting any kind of material in your dishwasher, you should always check with the manufacturer’s guide to see if it’s dishwasher safe. Materials such as aluminum and glass are mainly dishwasher safe, but disposable aluminum items, bottles, and cans are not. What should I do to maintain my dishwasher? Use an acid (ie. lemon juice or tang) to get rid of build up. Unclog and clean your dishwasher’s drain. Clean the edges and the exterior of your dishwasher. My dishwasher is leaking. What do I do? Dishwasher leaks usually come from the door. The problem may be a defective pump or a faulty door gasket. Damage to pumps usually comes from age and detergent. Why doesn’t my dishwasher wash well? If your dishwasher doesn’t wash well, the solution can be as simple as cleaning it. Another reason why you’re getting dirty dishes after the cycle might be a faulty or clogged inlet valve. How do I make sure my dishwasher will wash properly? To get the best results possible, you should always try to scrape off any food residue and load the machine according to the manufacturer’s guide. A common reason why your dishwasher won’t start is the door. If the latches on the doors are bad, the machine won’t start because it needs them to hold a strong grip in order to prevent water spillage. A dishwasher repair professional can help you determine what the problem is in no time. My dishwasher doesn’t drain properly. What should I do? The most common cause of draining issues when it comes to dishwashers is food residue clogging the pump strainer or drain hose. You can try to disconnect the drain hose from the pump and clean it to unclog it. If this doesn’t work, it might be best for you to call a dishwasher repair technician to diagnose and fix the issue. Why is my dishwasher not cleaning dishes properly? There are a number of possible causes for this problem. 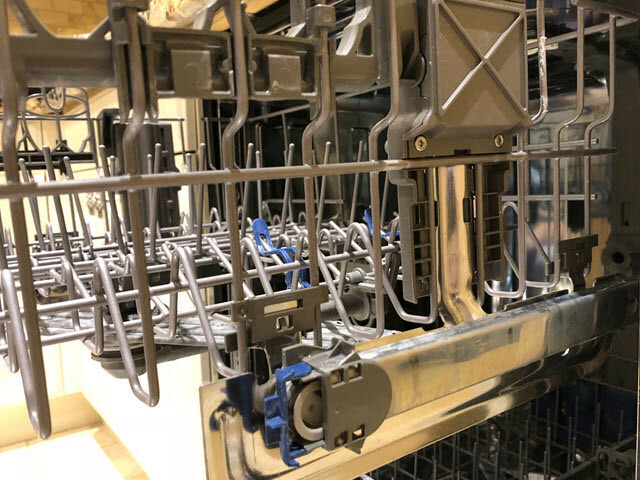 From the water pump to blockages, our team will inspect your dishwasher inside and out for an accurate diagnosis before proceeding with repairs. How can I prepare my dishwasher before technicians arrive? When our technicians arrive, they will be ready to get straight to work. If you have any dishes inside the machine, you should remove them to help save time. It’s also a good idea to make sure that there are no obstructions near the dishwasher. 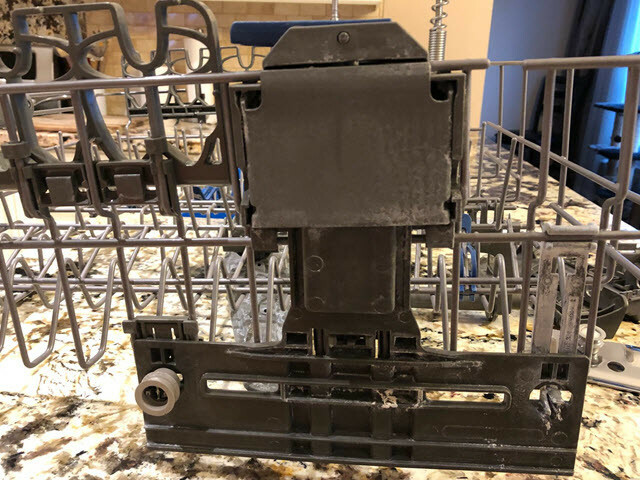 Can I repair my dishwasher myself? 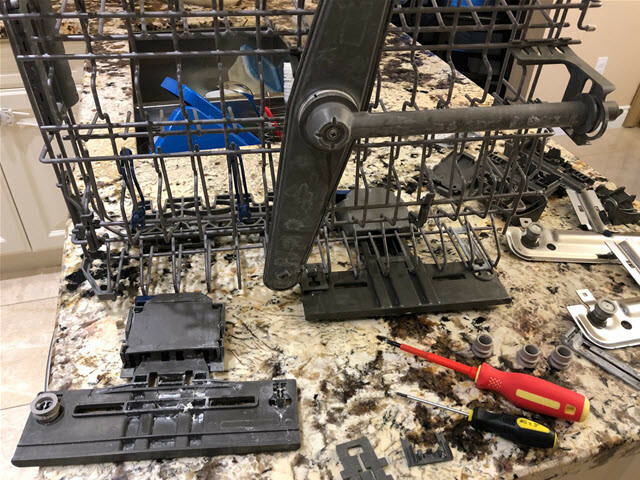 The DIY approach to dishwasher repairs is not advised. These household appliances are far more complex than they seem and attempting repairs yourself could do more harm than good.